Today we went to Atlantis! I am sorry I have you waiting so long for the blog. 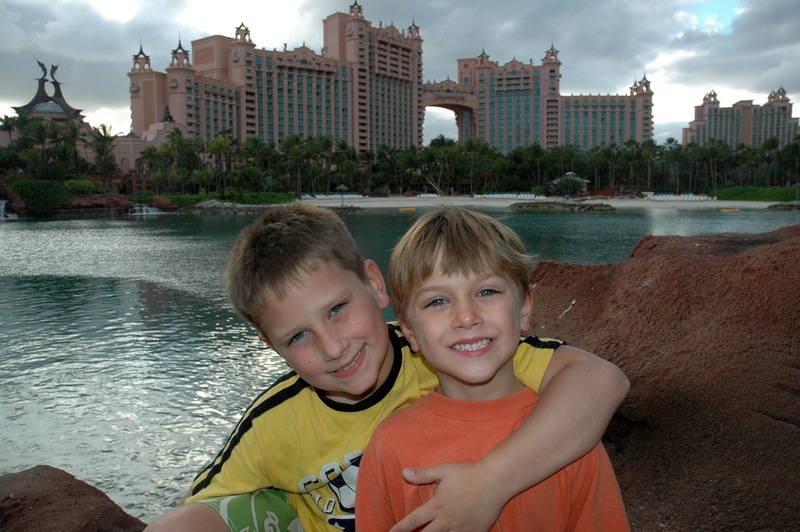 At Atlantis we went on water slides and other cool stuff, like the Atlantis Kids Club. 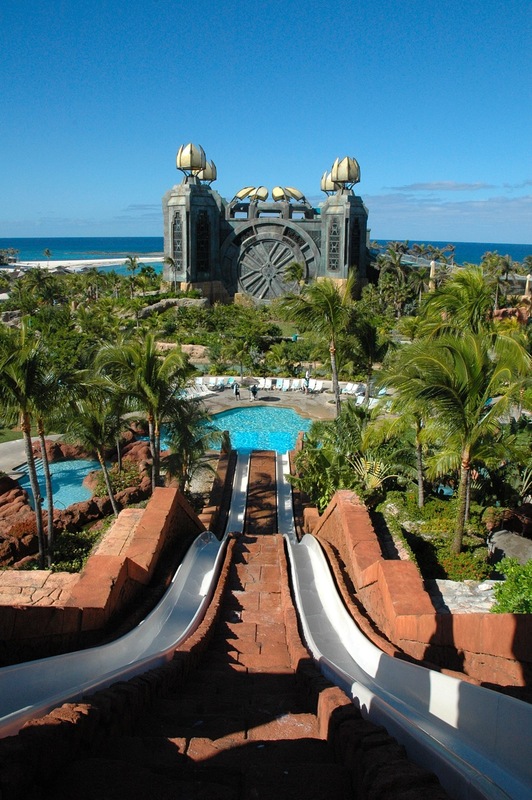 This is Atlantis, it’s a water park, a resort and a hotel. But we stayed on our boat in the marina. There are lots of restaurants, and your room key can be used as a debit card. Atlantis is the lost city in the ocean, so they make the place look like it was sunken city along time ago. 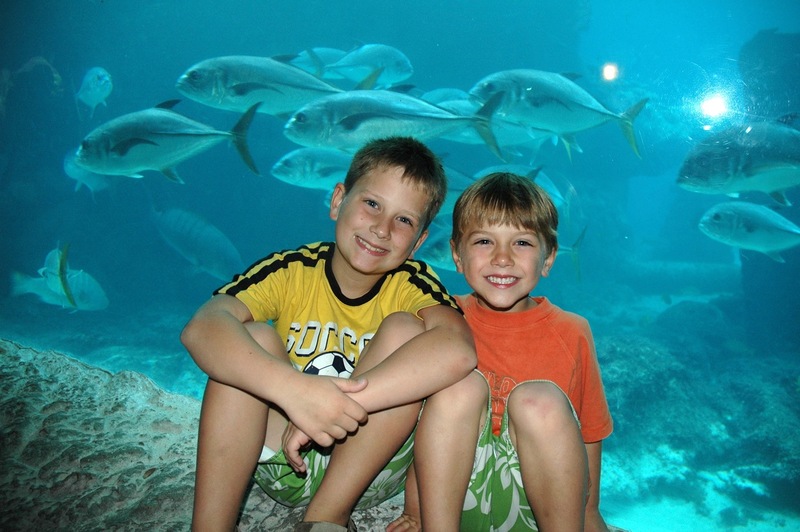 They decorated with ancient writings on the walls, and there were lots of aquariums. 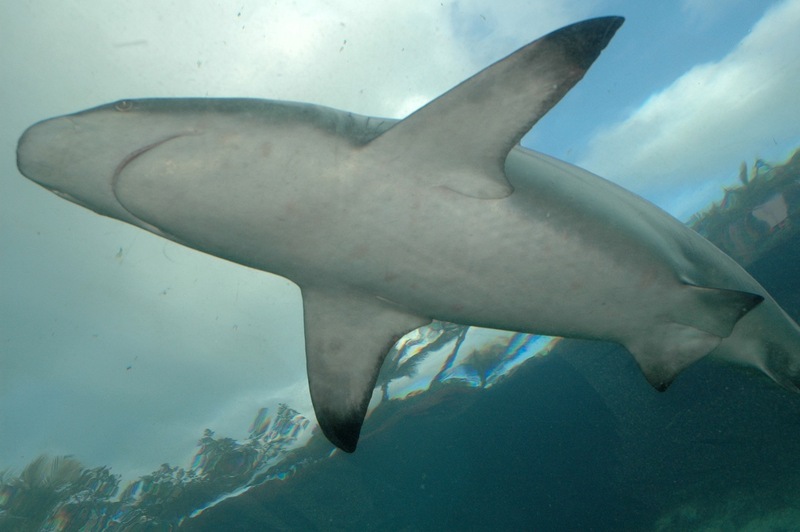 I can’t believe I am in the shark tank. 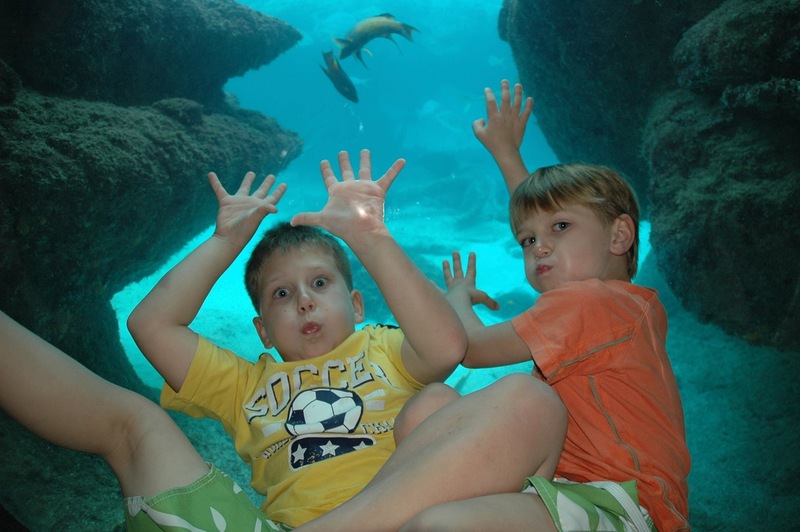 Me and my brother like the aquariums. 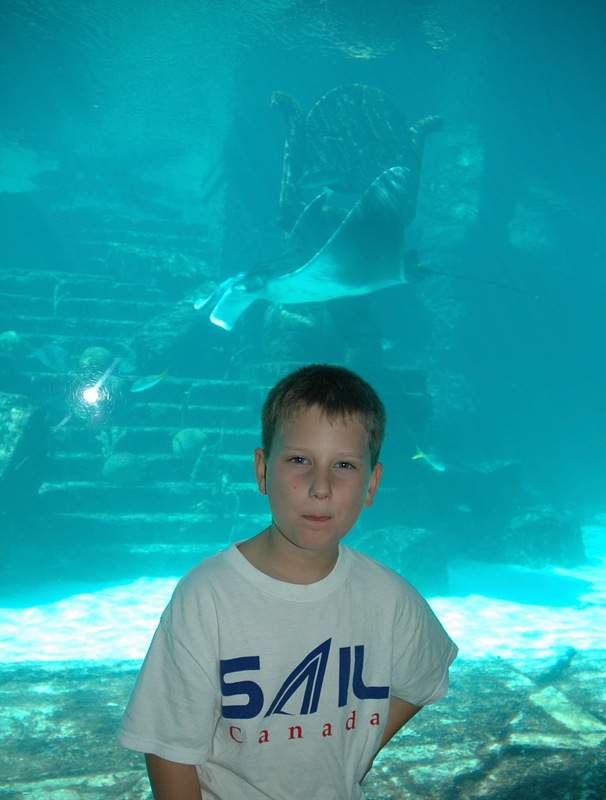 Me and the Manta Rays. The Shark tanks are really cool. 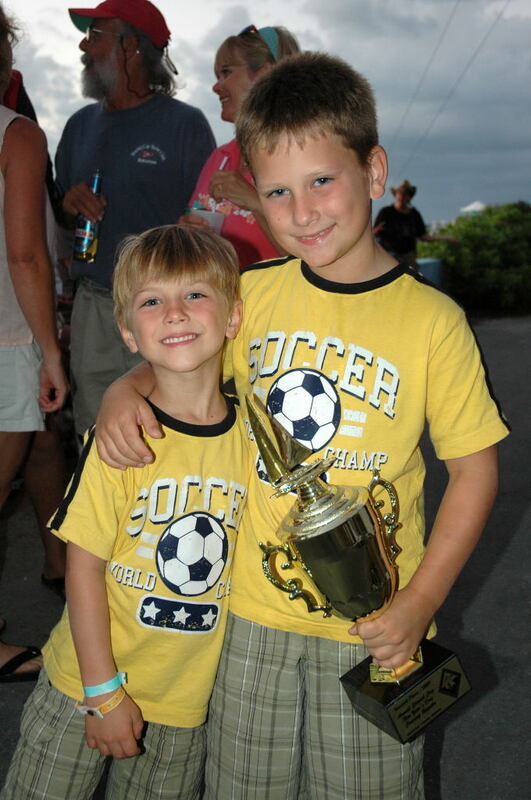 Check our the Sharks mouth. 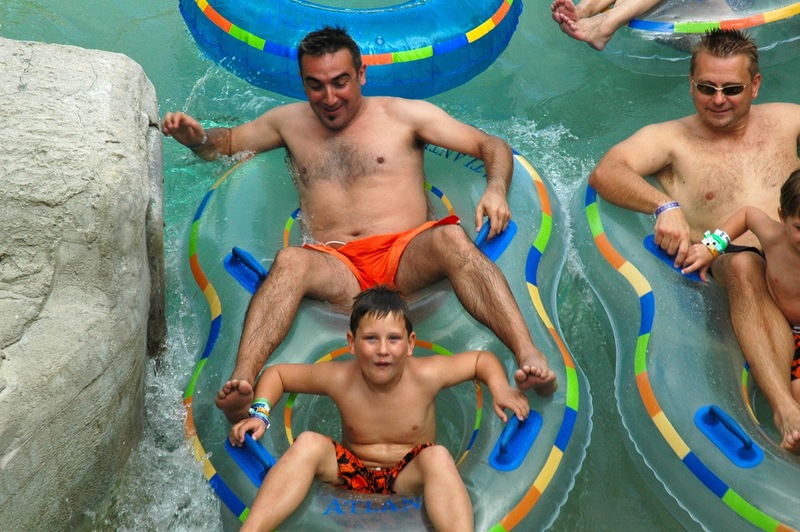 My Dad, brother, me and Dad’s friend going on the lazy river ride. 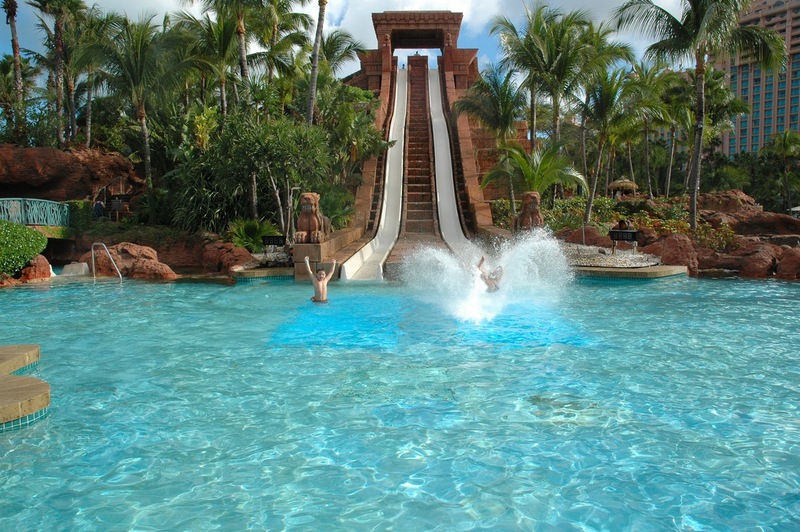 My dad and I racing down the water slide, my dad on the right with the big splash. 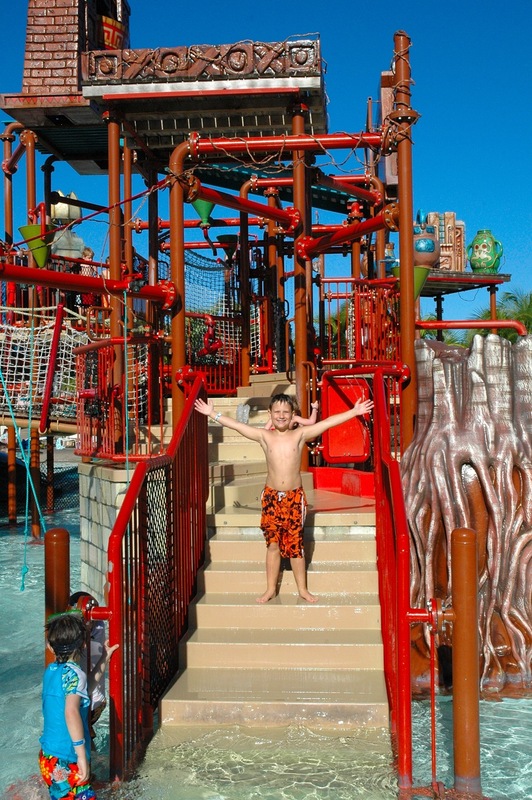 There were lots of cool water slides, and one called the POWER TOWER, which was my favorite. 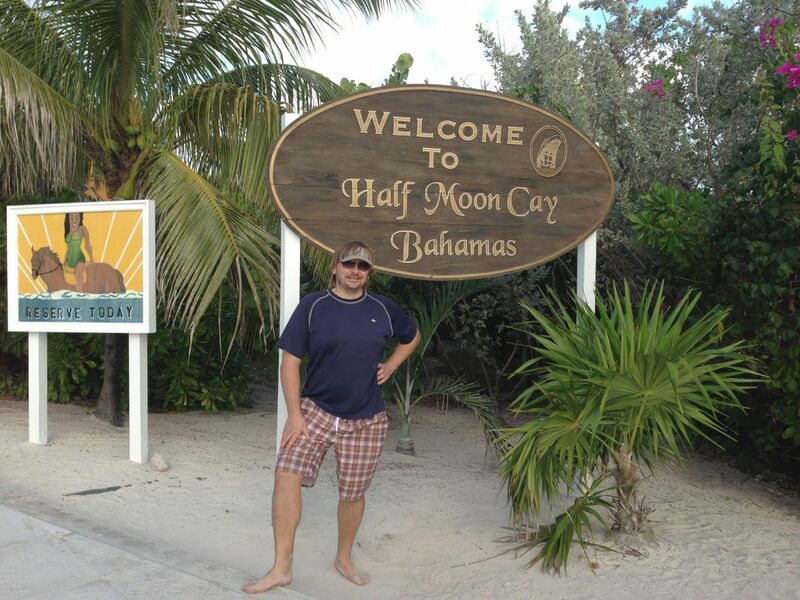 If you are in Nassau I recommend going to Atlantis! 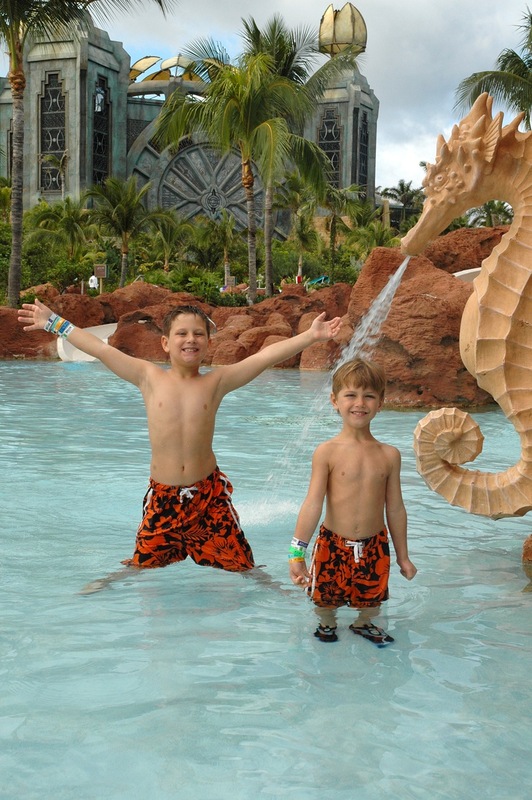 My brother and I in the water park. View from the top of the slide, in the distance is the Power Tower. Me in the water park. 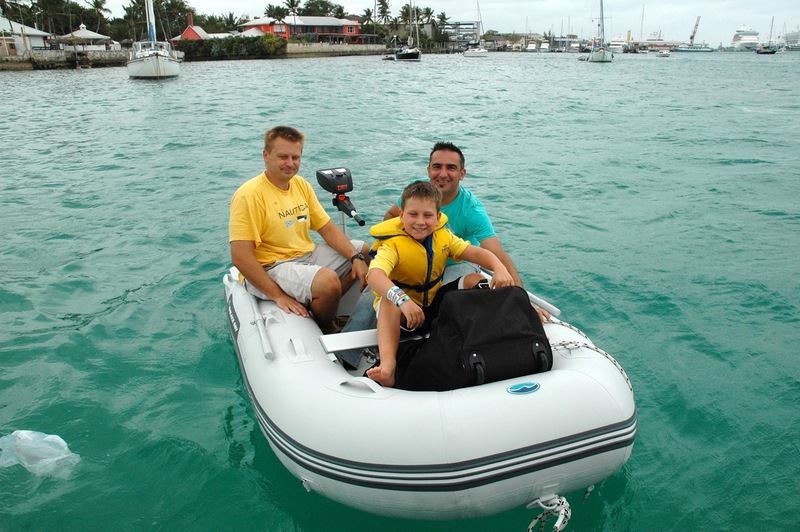 We gave or friends a ride back to land in our dinghy so they can catch a plane home. 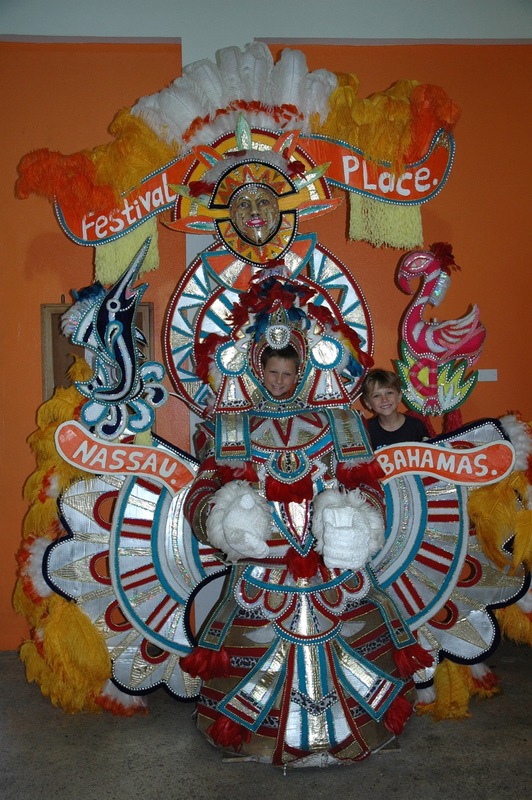 We explored Nassau and the festival Junkanoo costumes. 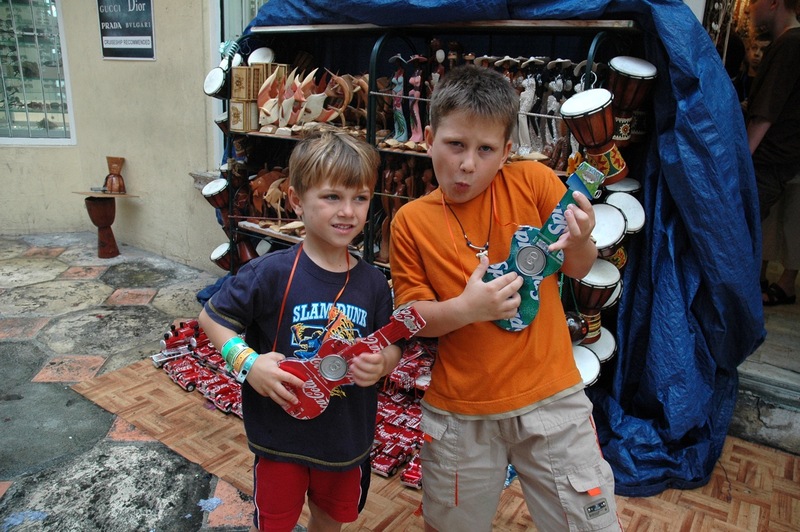 We found some cool guitars made of old pop cans. 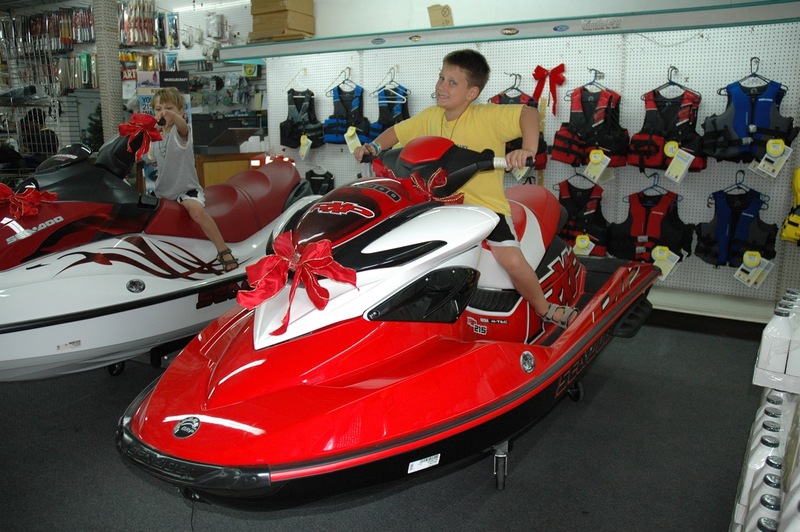 Too bad we don’t have room on the boat for one of these. 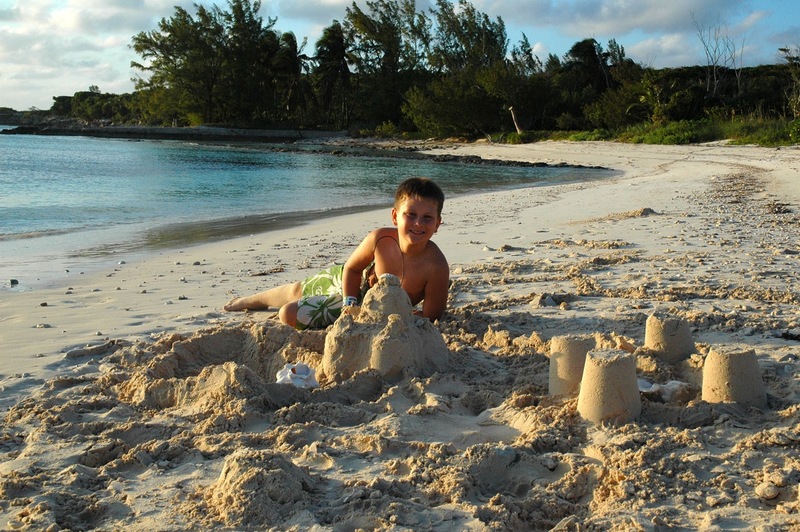 I made some really cool sand castles. 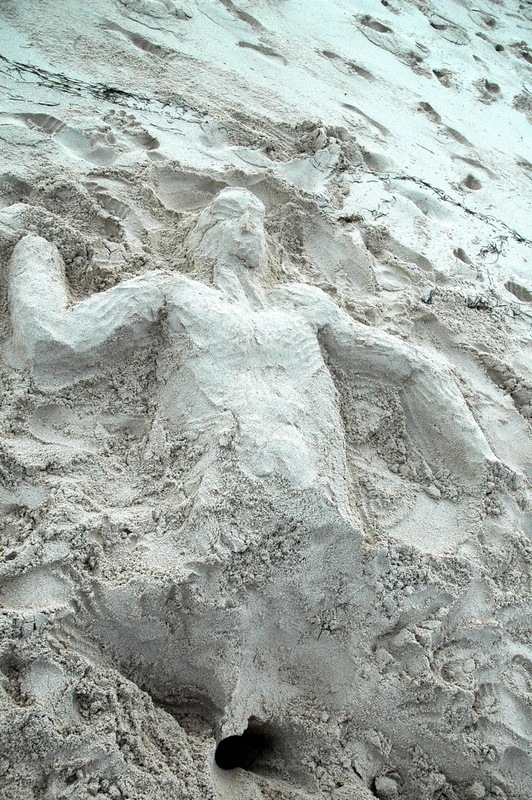 Our friend Sorin, made us a cool Sand Man! 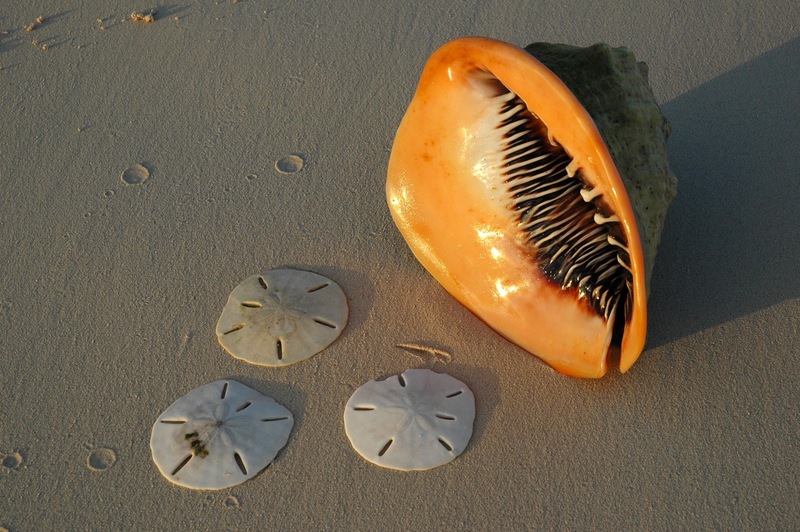 We found these cool sand dollars and a Queen Conch. 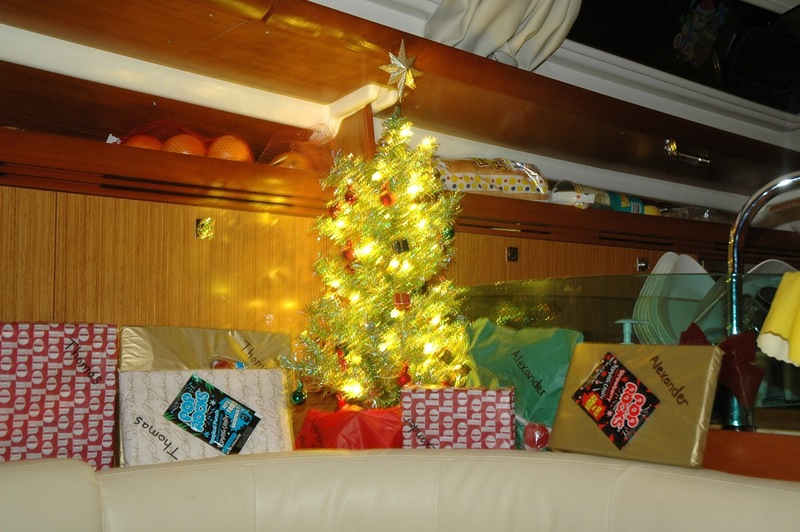 We had Christmas in the Bahamas! This was one of my Christmas Presents, a Uberstixs Sailboat. Next story Cape Canaveral- Kennedy Space Center. 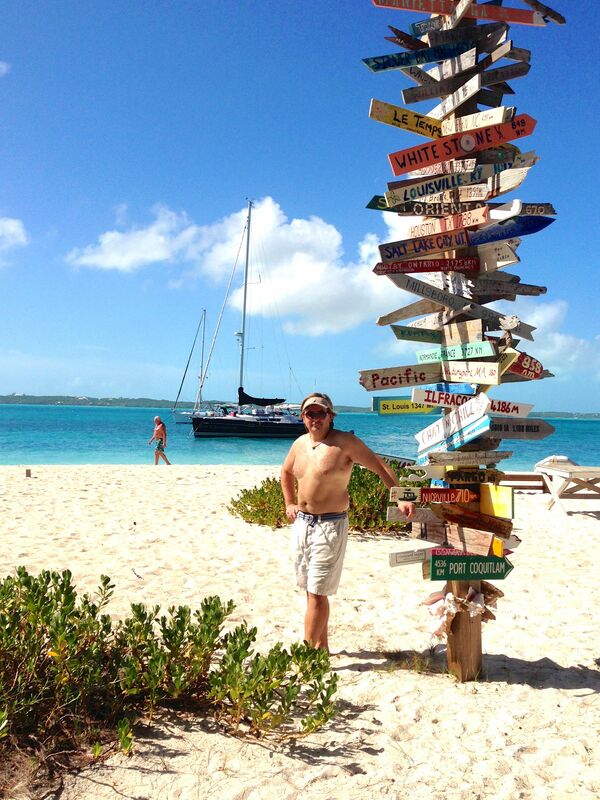 Previous story Thomas loving the Abacos!